I could eat shrimp every day. I know I’m being redundant, but it’s so true. We try and stock up at the end of the season from the Shrimp Lady up the street who sells the best fresh shrimp on the planet for a song. This year we bought 30lbs before she closed and I’ve decided it wasn’t enough. Next year we will buy more. This recipe is my cousin’s. She made it for us a couple of months ago and it was immediately the best Shrimp & Grits I’ve ever had. She literally nailed it – cheesy, creamy, buttery, savory, with BACON. Enough said. Begin with stone ground grits (I like yellow) and cook them according to the package directions. Once the water has absorbed, add in salt & pepper, 3tbl of butter and 2 cups of shredded sharp cheddar. Set aside. Chop 6 slices of good bacon and cook in a large skillet until it begins to brown. Remove bacon bits with tongs and place on a paper towel lined plate. Add 1-1.5lbs peeled and deveined shrimp to bacon grease and cook through. 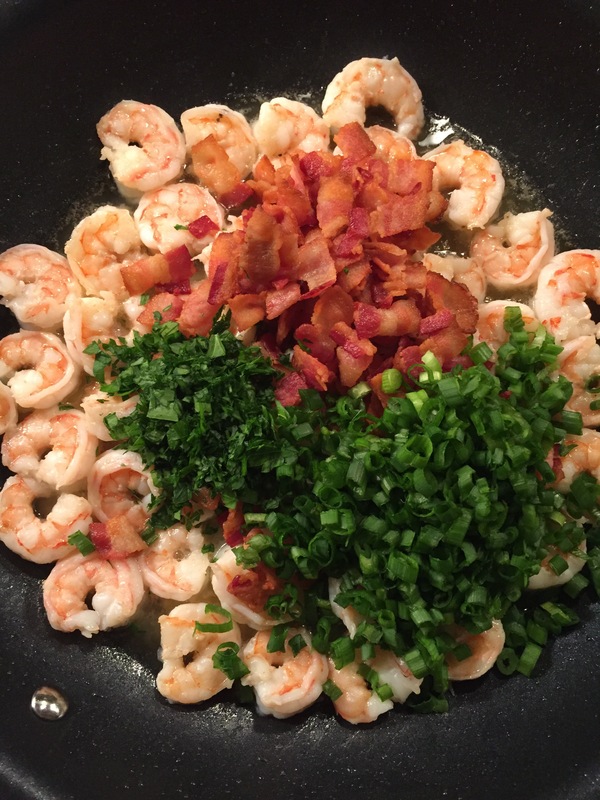 Add back in the cooked bacon, 1 cup chopped scallions, 2tbl chopped fresh parsley, 1tsp minced garlic, and 4tsp lemon juice. 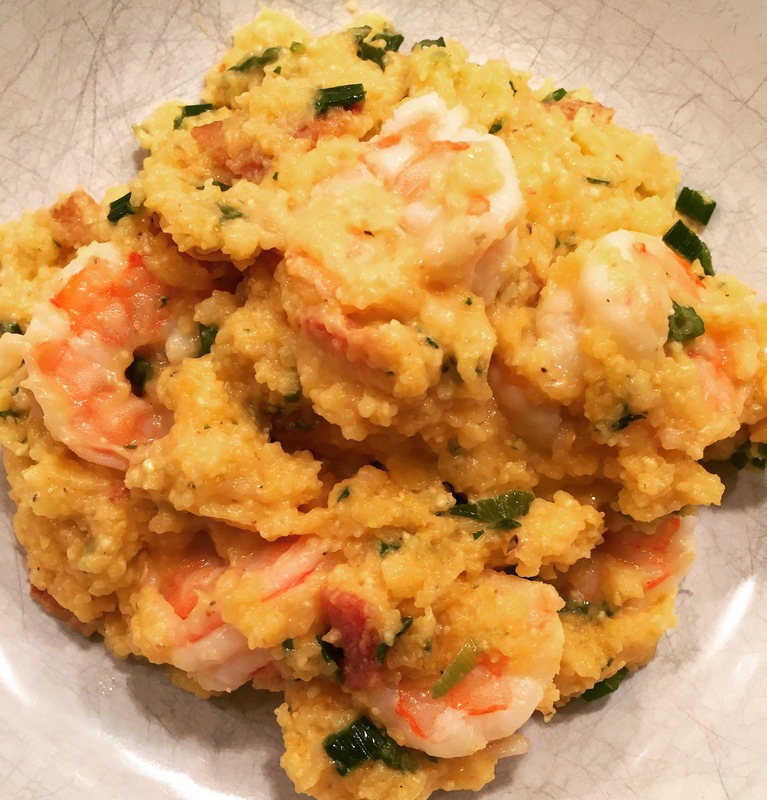 Combine with grits and serve with a mixed green salad and fresh, crusty bread. Enjoy!